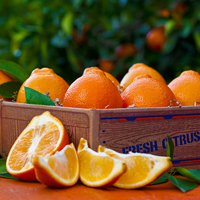 How Are Your Florida Oranges Shipped and Delivered? Florida's citrus growing regions produce a wide variety of citrus fruits throughout the harvest season. Each variety is noted for its own unique flavor, level of sweetness and abundance of juice. This fruit is carefully tended throughout the year, then picked at the exact moment of ripeness. This ensures that each piece of fruit is at its flavor peak. Once the fruit is harvested, it is hand packed the same day in our exclusive lidded gift tray packaging. With our specially designed gift boxes, each tray is a gift within a gift. What really sets Florida Fruit Shippers® apart is that every order is packed by hand by our experienced and highly trained gift fruit packers. Each gift box will receive a final inspection before moving directly to one of our gift fruit delivery trucks. Our fruit is fresh harvested and is packed and shipped weekly to most locations. During peak season, there could be more frequent shipments which will be noted in the product description. We ask that you allow 14 calendar days for your gift package to arrive from the time it is ordered. Shipping charges vary from item to item, so please read the product description carefully for specific shipping information. All fruit gift packages are carried to their destination in climate-controlled gift fruit shipping trucks, then transferred to the local postal service for final delivery. What If I Live in a USDA Restricted State or Outside the Continental US? There are a few states that are restricted states, including Arizona, California, Louisiana and Texas. Fruit shipped to or through these states is specially handled to meet the agricultural requirements of the states. 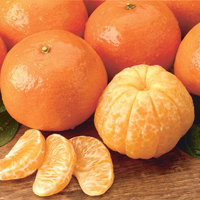 Florida Fruit Shippers® ships to these "Special Points" every other week through January, monthly February to mid-April. USDA regulations stipulate that only fresh fruit can be included in the fruit gift packages we ship to these states. Candies, jellies and so forth cannot be packed with the fruit. Therefore we can only ship all-fruit styles to USDA restricted destinations. Deluxe styles are not available to the restricted states. Check here to see if your destination Zip code is in the Special Points zone. Note: We can ship candy, marmalade and bakery gifts that ship separately from the fruit, including most “Sweet Treats,” to the USDA restricted states. We offer The Alaska Pack, a Jumbo Tray equivalent pack available only to Alaska, with no additional shipping charges. The Last Minute Priority Mail pack is our only pack available to Alaska. Packages are shipped to Alaska weekly from mid-November through mid-April via Priority Mail. Unfortunately, we cannot ship to Hawaii. Please note that there is an additional charge to ship to Canada as noted in product descriptions. Florida citrus is a berry and it does not ripen off the tree or bush. As with strawberries or blueberries, once the fruit is picked, the sugars gradually break down and the fruit loses its full sweetness and flavor. That's why fresh is best. 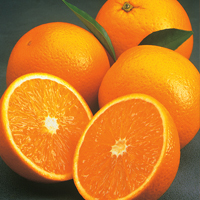 At Florida Fruit Shippers® we never ship Florida citrus from storage. 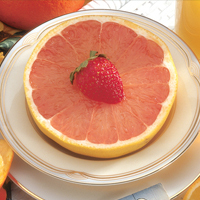 And unlike oranges and grapefruit sold at retail, our Florida citrus is never artificially colored, dyed or flavored. That's why we can say, "Unless you live in a grove, you can't eat fresher, sweeter fruit."